Hello 2016! Pew pew pew! Fireworks. Resolutions.Reviews. Appraisals. Regrets. Change. Happy new year, or whatever. Glad it’s over to be honest, let’s just get on with riding more. It’s been awhile since I wrote anything because I wanted to start the year without putting more pressure on myself about writing more. Like many bike bloggers I try to publish one post weekly. It sounds like nothing but for some reason it puts me under pressure to come up with something to write, and it shouldn’t be like that, so my only so-called resolution this year, was to take any kind of pressure off myself, and do more of what I wanted. So it was I started 2016 with a ride at 7am January 1, 2016. 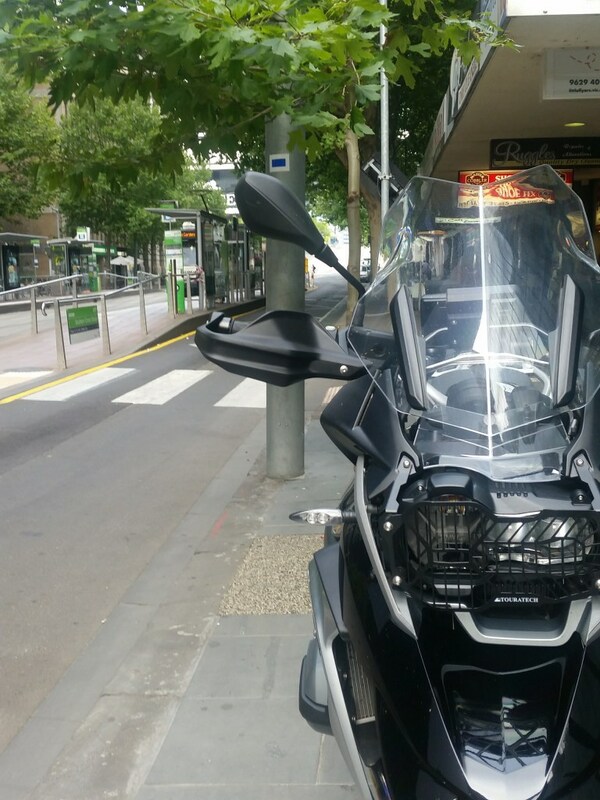 I rode into the city expecting carnage everywhere but there was none. There was barely anyone on the streets and very few shops and cafes were open. I struggled to find somewhere to grab bacon and eggs but managed to eventually find a crappy serve in the city and gorged myself before taking off again. It was a good time to ride and think about what might be in 2016 and in short right now, I have no answers. I usually have a plan, but this year I don’t. 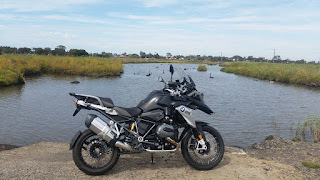 I kind of feel like I am just floating through time at the moment, nothing really urging me forward, except for riding and really enjoying it. So I have been doing more of it which is awesome. In fact, ever since that first 1,000kms, I have been actively seeking out dirt roads to ride. I never really thought I’d say that, but this bike… I dunno, it just LOVES them. I've done plenty of dirt riding over the years, but I have never felt so comfortable riding dirt, gravel, tracks and backroads before on any bike. I suppose that is to be expected, being a GS. But for me it's a revelation, naturally it feels right at home in the dirt, but the sense of control and agility is actually quite amazing considering it’s size and weight. I really enjoy riding it, in the dirt. I mean like really like riding it over things, through things, in things. It goes anywhere you point it. Which just takes my motorcycling passion to a whole new level. Hunting down twisties is still part of my routine but now I actively go looking for fire trails and backroads to stomp around on. I haven't had so much fun on a bike since I was 10. 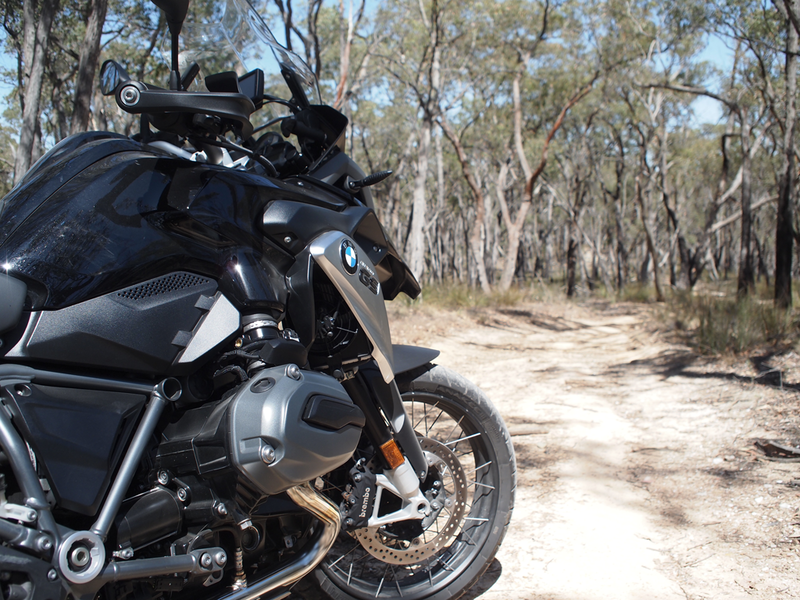 Tight, gravelly, bumpy, full of humongous ruts and potholes - these roads were made for the GS and it just lapped them up with gusto and delivered me unto the other side unscathed and mentally unhinged. Ecstatic I just wanted to go back and do it again and again (which I did). Then there are these valleys around the back of my bit, behind the airport kind of, and stuffed if I know how to get to em, but I have been trying. Every time I think I have found a way in, I come across another locked gate, and restricted access sign. Dammit! But I won’t give up, just this morning I found a couple of good angry dirt tracks to blast around in, one that lead to a vacant paddock that had a rutted out 4WD track that lead nowhere, so I pushed on chasing imaginary rabbits trying to escape. I am so goddamn happy with my new bike I could puke. 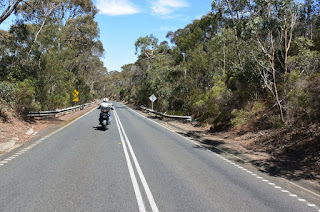 Coming up soon I will be heading off on a ten year anniversary ride with a group of mates for Australia Day Ten. It promises four days of riding Victoria and New South Wales, and as described by the organiser ‘a bit of dirt for Dan’. It’s 11 days away as I write this, is it too early to pack? Until next time kids, stay upright and hit the dirt.